Lifeguard Career: A Dream Come True!! The career as a lifeguard has got much popularity and fame among young people as a perfect profession to earn desired wages. The people who want to have an exciting occupation and cannot afford university fees can embrace the lifeguard career at their first choice. It will give them an unforgettable experience to have healthy lifestyle with increased responsibility and maturity. The income level of a lifeguard may vary from one location to another. In these field, local administrations focus on high wages yet tough routines and short rest periods but private clubs and hotels provide allowances as meal and accommodation too. Also a beginner lifeguard will earn less than an experienced one. The lifeguards are meant to play with risks and death while going in deep and shallow waters to save people. This responsibility requires them to have immense physical and mental strength along with skill proficiency as first aid, CPR, rescue and control. They must be prepared to deal with every emergency situation out there from a crab sting to real heart attacks. Their career has various dimensions from personal job to community involvement and public interaction. They have to take part in swimming and outreach programs to get training and to train others as well. The excellent swimming ability in deep water is considered as a prerequisite for starting a lifeguard career. An international standard is of swimming 400 meters under water for about 8 minutes. The age limit does not apply to this profession but physical fitness is essential for getting the required training and certification. First aid training, hand signals, rescue board and drills and communication abilities are also required. Both basic and advanced lifeguard courses are being taught round the world for keeping them updated and qualify their public liability test. The official programs for both pool and beach locations increase your expertise and chances of getting good job. You can find a rewarding job at any pool, beach, river, hotel, club and academy providing swimming recreational activities. Apart from these opportunities a lifeguard can exceed his career to jet skis, boats, scuba diving and operations management. The accountability level of individual is much higher in this career for saving or drowning people. They have to travel frequently which offers them a way to explore various locations. Their physical training keeps them fit and active throughout the day. 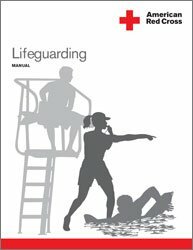 The career of lifeguard is not only restricted to one country rather it is an international job. The job market is always open even in areas where getting job can be impossible. The trainings and certifications they are awarded with plays significant role in both personal and professional life. You save others lives, meet new people yet enjoy your work which is plus point of any stunning career. It is a cool and impressive career which gets you high payment when compared with the work you are doing. The skills and traits that one adopts through lifeguard job remains in him for lifetime so imagine how much rewarding it can b?